Diversity today is a widely honored American value. But does this public commitment to diversity constitute a civil rights victory? Drawing on six years of fieldwork and historical sources dating back to the 1950s, Ellen Berrey examines three case studies from widely varying arenas: affirmative action in the University of Michigan’s admissions program, housing redevelopment in Chicago’s Rogers Park neighborhood, and a human resources department at a Fortune 500 company. 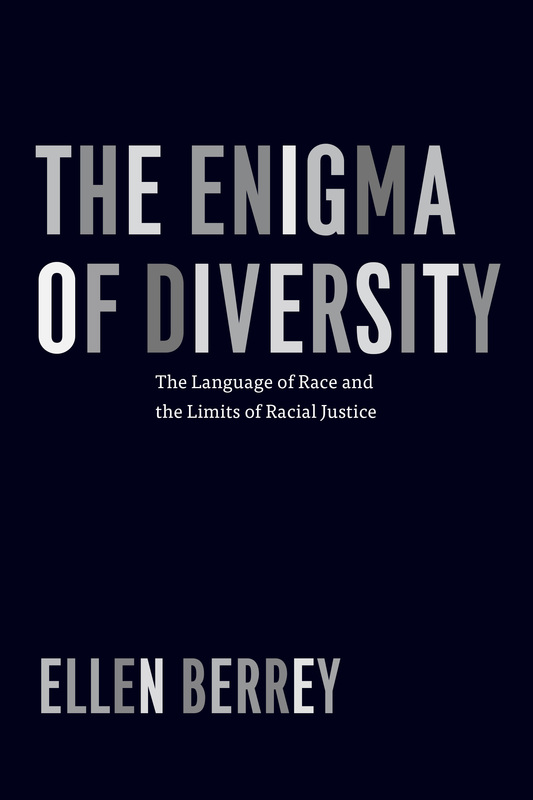 The book explores the complicated meanings, uses, and effects of diversity as it is invoked by different organizational actors for different, often symbolic ends. In each case, diversity affirms inclusiveness, especially in the most coveted jobs and colleges, yet it resists fundamental change in practices and cultures that are the foundation of social inequality. The Enigma of Diversity identifies the true cost of the popular embrace of diversity: the taming of demands for racial justice.